Technology and innovation are often at odds with policy. Sheryl Sandberg is set to talk with lawmakers this week to figure out how to change that. Facebook's chief operating officer will be in DC on Wednesday and is setting up an "innovation pop-up" to demonstrate some of the technologies that Facebook is investing in, including artificial intelligence, virtual reality and drones that will help deliver internet access around the world. Sandberg is also scheduled to meet with with Senator Orrin Hatch from Utah and members of the Senate Republican High-Tech Task Force. 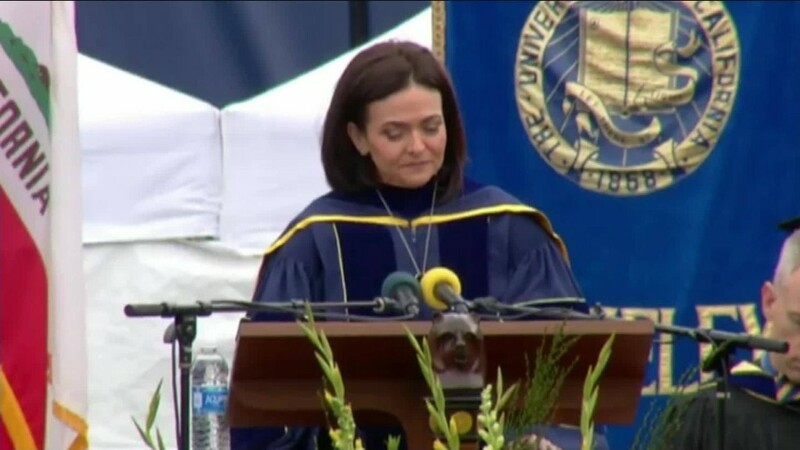 "Technology drives real progress for people," Sandberg said in a Facebook post. "Technological innovation also comes with challenges -- it raises questions about what it means for people's lives, industries, and governments. We need to work together to maximize the benefits and minimize the risks." Among the products that Facebook (FB) will demonstrate are the Oculus Rift VR headset and a visual recognition program that uses AI to help blind people use Facebook. The company has been setting up this "innovation pop-up" display in Facebook offices around the world over the past year. In a press release, Senator Hatch noted a long list of topics he wants to discuss, including privacy, labor and immigration, computer science education and free speech. The closed-door meeting is scheduled to last for an hour, and a spokesman for Hatch's office would not say if Sandberg would have additional time with lawmakers. Sandberg will also be meeting with Speaker Paul Ryan on Thursday. Sandberg commended Ryan last year for balancing his role as a father and husband. She gave him a "Lean In Award of the day." Also on her agenda? An interview with Arthur Brooks, president of the American Enterprise Institute, a conservative policy think tank. She will be meeting with Democrats as well, a Facebook spokeswoman said. Last month, Facebook CEO Mark Zuckerberg met with conservatives after a report accused Facebook of having a liberal bias in selecting stories for its Trending Topics section. More than a dozen media personalities met with Zuckerberg to talk about Facebook's policies and algorithms, which the company asserts "do not permit the suppression of political perspectives."